2010 was a huge year for search. In fact, 2010 was probably the most monumental year in Search ever. In an industry where change is regular, we experienced unprecedented change in 2010. Google rolled out more major updates in a calendar year than ever before and while they make 400-500 algorithm changes a year, this year Googlers were working a little overtime. Yahoo, well Yahoo is still suffering vertigo. I still do not think the decision to replace Jerry Yang with Carol Bartz was the best thing to do. It is sad to read a lot of the stories coming out of the Yahoo camp these days. ASK, although a proverbial fourth place finisher in search was simply ahead of its time. ASK could have been a really great search engine and quite honestly it looks like Google has been intelligent to realize that ASK was doing a lot of great things back in 2007 and has adopted some of the cool features that ASK was using a few years ago. That leaves us with Bing. You have to give the folks at Microsoft credit. They are really trying with their Bing search engine. But guess what? I still cannot find what I'm look for half of the time when I search on Bing. Oddly enough I also feel as though Google has taken a huge step back with the search experience of their engine. Anyone else finding frustration with Google search results lately? So where does that leave us as we enter 2011? Google is still the dominate player in search. According to comScore data, Google is still hovering around about a 65-66% market share in the US while Yahoo floats around 16-17% and Bing around 12%. The thing is that Google's competition does not necessarily come from these other search engines. People are visiting other verticals and other social environments other than a search engine. It should not come as a surprise that Google's largest threat may be Facebook, Twitter or both. Or perhaps it comes in the form of new search services such as Blekko. Regardless the times they are a changin' and 2011 will be an interesting year for Search. Who will the top players in Search for 2011? Well we have hinted at at a few above, but here are eleven people that we feel will have the most significant impact on Search in 2011. #11. Carol Bartz, CEO, Yahoo Inc. (YHOO) - it has been a difficult couple of years for Yahoo, and quite honestly things are not looking better on the immediate horizon. We include Carol Bartz in our number eleven position as she has the potential to make quite a splash or perhaps make none at all as some are suggesting that she might be within her final days at Yahoo. For most of you with your own websites, looking at your analytics you will see that Yahoo still drives a nice portion of your site traffic. Expect this to change if it has not yet started to already. #10. Andrew Mason, CEO, Groupon - why do people search? Simple, because they are looking for information. In case you haven't noticed, the online thing is not going away. People are slowly shifting to the Internet for all of their information, news, TV and video, social interaction and shopping. Andrew Mason created an environment known as Groupon that offers deals in local markets with deep discounts on everything from hotels to spa treatments to restaurants and oil changes. Will this have an impact on Search? You bet it will. It already has. Perhaps you are aware that Google was looking to purchase Groupon for an estimated $6 billion? The social attraction of a crowd and the fact that deals are there to be had bolds well for Andrew Mason and Groupon. The idea is to push information to people. It’s location in context. Inside the browser and a toolbar, can we look at where people have been going on the web — then we deliver it. But it’s a big UI challenge. In the browser it might be a panel on the right or bottom that complements your browsing. On the mobile phone, it’s where you are in the physical world. We can figure out where the next most useful information is. In a restaurant maybe it’s a menu. Or maybe it’s a social menu. It’s about explicit and implicit location. #8. Jack Dorsey, Biz Stone, Evan Williams aka the Twitter Guys - a lot of people spend a lot of time on Twitter. You want to find out breaking information where do you go? Google or Twitter? There are increasing signs and evidence that many go to Twitter first and then go to Google second to verify. Twitter has already made its mark on search and regardless if whether it is a fad or not, Twitter has popularized micro-blogging. The Twitter guys are not search guys per se, however they have created an environment where people go for real time information. 2011 will see Twitter mature and continue to provide timely information. Twitter and search go hand in hand, why else would Twitter be working so hard to obtain ownership over the (currently parked) domain name twittersearch.com? #7. Satya Nadella - Senior Vice President, Research and Development, Online Services Division - Microsoft - the vision for where Bing is going just might be coming from Satya Nadella who heads up all of Microsoft's online services. From advertising to search itself, you can bet that Satay Nadella has a plan for Microsoft's search engine Bing. #6. Steve Jobs, CEO, Apple Inc. - well maybe more so Apple as a company as a whole. With the innovation of their infamous Smart phone, the iPhone and surging popularity of their tablet computer in the iPad, Apple's products are revolutionizing search and how people acquire information. We have been saying it for years that this is the year of mobile. Mobile is coming and in other parts of the world mobile and mobile search is already there. The innovation and popularity of the Apple brand will continue to have an impact on search in 2011. The only way to combat this and return trust and quality to search is by taking an editorial stand and having humans identify the best sites for every category. The algorithm can't find its way through the web's growing hall of mirrors anymore. And it's only going to get worse. I expect 2011 to be a great year for Blekko. I for one am excited to see what they can do to help clean up the Web. #4. Stefan Weitz Director of Search, Microsoft Corp.- Stefan has provided some insight into where search is currently and where it may be going. He has stated that "... beyond personalization, we can also tap into the social graph, conveniently captured through online activity..". We can see things rolling out in Bing Search that deal with both personalization and the social graph based on their relationship with Facebook and the fact that people's likes are showing up in Bing search results. Stefan Weitz is in a very powerful position to have the ability to have a profound impact on search in 2011. #3. Matt Cutts - Google Evangelist - Matt Cutts has his own cult following and really is a personable guy as well as being great public face for Google. Go to any major search conference and there is a good chance that you will get to hear Matt speak. A number of people tend to hang off of every word from Cutts even when he speaks in cryptic. With so many Google updates in 2010, Matt Cutts becomes a key bridge between Google and webmasters/search marketers who are looking to ensure that their sites appear in Google's various search results. Google's Matt Cutts, is also in charge of much of the search giant's antispam efforts, and tweeted over the past week that Google plans to take a closer look at the practice of "cloaking," or presenting one look to a Googlebot crawling one's site while presenting another look to users. Matt who is always careful not to divulge too much information does indeed provide great insight into Google algorithm updates and the rights and wrongs of optimizing for search results. Look for more insight from Matt in 2011. #2. Larry Page and Sergey Brin aka the Google Guys - with increasing bid prices and ever changing designs to the Google search results pages, it has become somewhat evident that Google (GOOG) understands that it is a business just like any other. There are shareholders to please. Can even Google's innovations bring investors the return that they are looking for? Could 2011 be the year where a string of regulatory and legal woes result in a significant penalty for the search giant? We already know that there is a strong push in local advertising and local search planned. We also know that Google is in need of a platform or environment to acquire even more data about their users for more targeted and what Google deems as relevant results. Could 2011 be the year that Google begins to experience some backlash from their users? Have they changed too much in recent months? Have they alienated too many website owners and advertisers? Maybe or maybe not, but look for Google and the Google guys to continue to innovate in 2011 and for better or worse, Google is the major player in search. Do not expect that to change in 2011. #1. 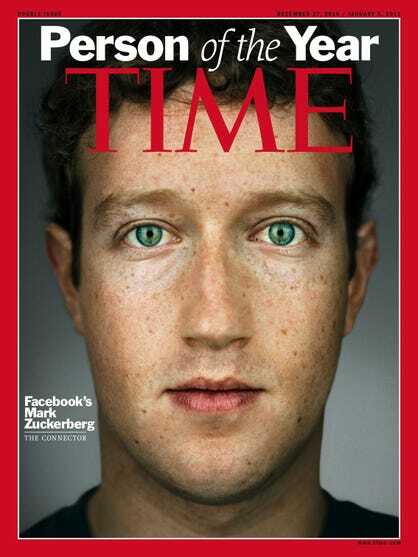 Mark Zuckerberg - Facebook CEO - I know, I know Mark Zukerberg is the Time person of the year, but quite honestly when compiling the concept for this post I knew that Zuckerberg had to be at the top of this list. Facebook continues to have something that Google does not (at least not on the same scale) and that is user data. In a relatively short time, Facebook has become one of the largest websites in the world, with more than 500 million monthly users. Mark Zukerberg is one of the most influential people of the Information Age and in 2011 Facebook will continue to have both a direct and indirect impact on Search and how people connect, find and share information with one another. 2011 promises to be another interesting year in Search. One thing is for sure we can expect more algorithm updates, more social factors and savvier searchers. The real question is whether we will be able to find the right answers to all of our questions.